We are highly acknowledged organization engaged in presenting a remarkable range of Toilet Soap. Ours is an illustrious organization that is involved in manufacturing, supplying and exporting Toilet Soaps. 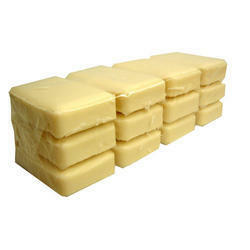 Available in different size of packs, these soaps are widely acclaimed by number of clients across the global market. For providing on-time delivery, we also have maintained a wide distribution network across the market. We are offering to our valuable customers a wide range of Transparent Toilet Soaps. These are made available in several colors and fragrances in order to cater to the heterogeneous demands of the customers. is the best brand in the portfolio. We understand that quality in products is very important for people and it should also be economically priced to make it affordable for middle income group of the country. Therefore, MOZ comes with the best quality ingredients at a very economical price as compared to other products.